Genius. Sublime. 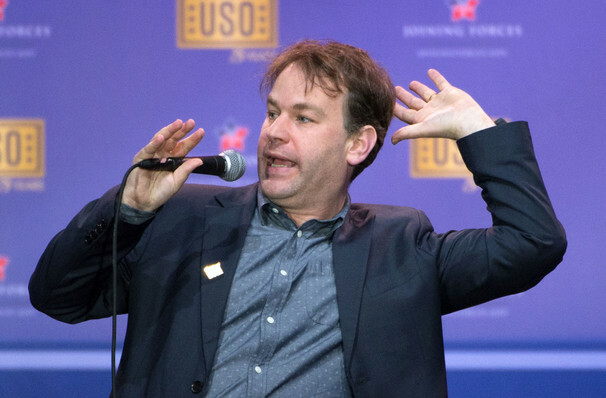 Birbiglia is a seductive force. Why See The New One? In the summer of 2018, multi-talented stand-up comic, director, writer, producer, podcast personality and actor Mike Birbiglia ticked another milestone off on his already accomplished bucket list. Alongside writing a book (the hilarious New York Times Bestseller Sleepwalk With Me), directing and starring in a critically acclaimed indie motion picture (Don't Think Twice) and stints on iconic podcasts This American Life and The Moth, Birbiglia trod the Broadway boards in his very own one-man show at the Cherry Lane Theater. 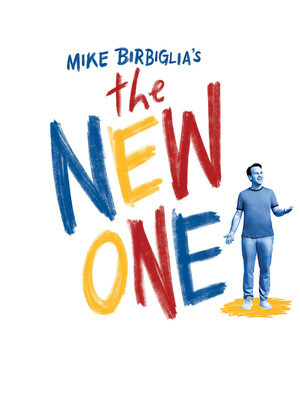 Chronicling his fresh acquaintance with fatherhood, The New One fuses Birbiglia's wry sense of humour with the tidal wave of emotions that fatherhood can stir up, especially considering he never wanted to procreate in the first place. Balancing wit with his own provocative, often unspeakable truths, he manages to say what everyone thinks when they're in the trenches of early parenting, but wouldn't dare say, and with a laugh-inducing rhetoric to boot! Don't miss his black comedy genius when The New One hits the road on tour this fall! What Is The New One About? Much like his book and film, The New One is based on Birbiglia's penchant for bad decisions and delivers up his unique take on life through a blend of observational and confessional comedy. Entirely too relatable, he regales the audience with tales of his life before his daughter came on the scene and the pivotal moment when his wife decides they should have a kid (the moment when his young nephew smacks him upside the head with a foam baseball bat to be exact). Its all down hill from there - from a harrowing 75 month pregnancy to a hilarious birthing class to feeling surplus to requirements when the mother and child bond unbreakably. Yet for all his razor sharp complaints, there is a happy ending on the horizon when the sprog in question wins him over with her pint-sized giggling. Complex, outrageous and mesmerising, Birbiglia may not win the father of the year award, but he's definitely a comedian on the top of his game. Seen The New One? Loved it? Hated it? Sound good to you? Share this page on social media and let your friends know about The New One at Knight Theatre.